For many, the discourse on anarchists’ violence belongs to the past, to an era that shocked the world but ended a long time ago. However, this assumption is not accurate in the twentieth-first century. It ignores the reality that allows extremists to rise from the dust, gain popularity and use available tools to promote themselves and their ideas, and thus, to pose a new potential threat. 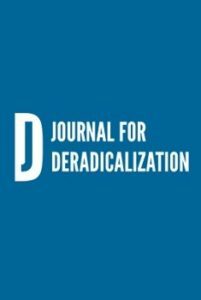 While most of the research on radicalization and political violent extremism focuses on jihadism or the contemporary right-wing extremism, it is important not to ignore the reaction that right-wing extremists created and provoked in the past, which is still relevant in our days: left-wing extremism, which is embodied today in violent anarchists and anti-fascists. This article sheds light on the contemporary left-wing extremism and violent mobilization in Europe and North America, its reflections on the Internet and in music, and its violent activity at home against “fascist” representatives (such as right-wing extremist groups and individuals), and even abroad, against other “fascist” representatives, such as the Islamic State organization. The purpose of the article is to examine this under-researched phenomenon while focusing on popular and recent modes of mobilization and recruitment of this “new revolutionary left”, which reflect a threat that is developing in Europe, North America and the Middle East – but not from the jihadi or right-wing aspects, but from anti-fascist and anarchists’ militancy aspect.